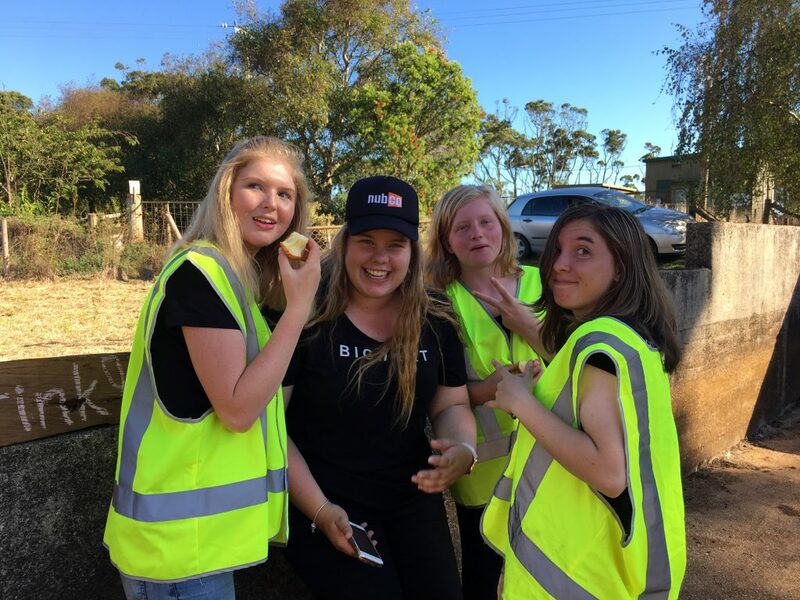 Acoustic Life of Sheds was BighART’s latest event here in Tasmania over two weekends in early March 2017, consisting of five rural sheds where musicians play musical pieces for the public to get involved and come along for the ride. Each event started at Wynyard and finished at the Table Cape Tulip Farm over two weekends with forty performances all up. 20+20 Project came together to produce this event – 30 students were employed and gained valuable life experience including a young singer from Wynyard High School performing alongside some incredible professional musicians from interstate to the largest audiences in her life, and other roles like site manager, parking, filming, tech/sound, hospitality and shed managers. What most people didn’t realise is how much happened behind the scenes to create this event. We started organising and making signs and set construction back in the beginning of January, at some school holiday workshops. A lot of time was invested into making sure that the public thoroughly enjoyed the days. I have been volunteering with BighART for almost three years now, mainly helping in high schools and filming. For this project I did some filming, you can find these on the website page, http://bighart.org , look for the Vimeo link. I was also photographer and site manager, which meant I travelled to all the sheds and back over 20 times! I met all of the crowds, artist, managers and participants. I really enjoyed my job. There were so many new and interesting people I met with amazing stories to tell. I have always enjoyed being a part of the BighART team but this particular event seemed to have a different feel in it. Another part of the event was the Cape to Cape concert where all of the artist from every shed came together to perform for the public. It was a huge success and the public’s feedback was that we should do more of this. The weekend didn’t go as smooth sailing like everyone thought. We had somebody’s car catch fire, a dog biting, a car crash, and a two metre long snake several metres away from the group of people! But through all of it we have grown pretty close as a group. Before this project, we had no idea who each other was. There were students from Yolla District High School, Hellyer College and Wynyard High School. We have had the opportunity to better our skills in hospitality, event managing, film, customer service, administration, resume writing and organising our own bank accounts for payments. So many doors have opened, I now know what career path I would like to take. My main aim is for this event to be open for future generations because it is worthwhile, I guarantee it! Laura.